Plans for a new apartment development that was billed as more "sustainable" due to its lack of car parking has been rejected for its lack of car parking. 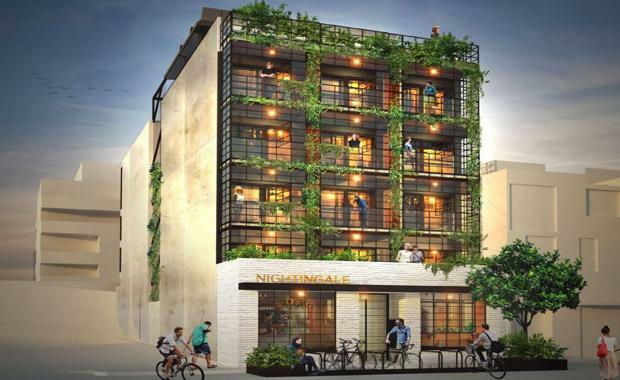 The Victorian Civil and Administrative Tribunal (VCAT) has knocked back a planning permit that was granted to The Nightingale, an apartment development in Brunswick, Melbourne. Designed by Breathe Architecture, the apartment development did not include car parking in the building in a bid to reduce emissions, encourage walking and increase affordability. The proposed development was close to a train station, a bike path and trams. VCAT senior member Russell Byard revoked the permit based on the lack of car parking in the proposed design. He ruled “there are households without privately owned motor cars for whom private car parking spaces are irrelevant” but decided that “it is not necessary to have parking free developments to accommodate them.” Although the first generation of Nightingale owners had been vetted and did not require car park spaces, Mr Byard said future generations of owners might need cars.